Vanika is a brand that is slowly gaining popularity in the field of kitchenware construction. Their high-quality Vanika stainless steel tea kettle serves as a testament to the high caliber of products that they produce. The Vanika kettle is made from pure stainless steel that helps to give the tea kettle a stunning mirror-like finish that is hard to resist. The Vanika stainless steel kettle is made of premium grade stainless steel in both the interior and exterior. This construction means that it is ideal for use on all cooktops including ceramic, induction stoves and electric stoves. The Vanika tea kettle has three safety features including a lid that can be placed easily with a push of a button. Additionally, the handles are also surrounded by a safety silicon aspect that is useful for preventing burns while the classic whistle notifies you when the boiling process comes to an end so that you can take the kettle off the flame. This kettle comes with a stylish design created to enhance your modern décor. Very good value for money considering that you are getting a large capacity and durability. Beautiful stainless steel mirror finish that is also tough and resistant to dents and scratches. 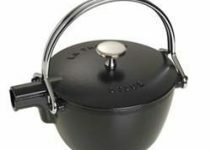 The kettle is of a high-quality and it can be utilized in almost all induction stoves. It has a strong but not a high-pitched whistle that gives you notice when the task is complete. It has the capacity to make up to 8 cups of tea which is sufficient for a large family. It also has a heat-resistant handle that makes it less stressful to use the kettle. It starts to vibrate a lot when in use. Proper care is required for the kettle to last for as long as possible. For instance, the lid is prone to rusting if it is not dried properly. Although the Vanika kettle performs well, it does not have an inbuilt infuser. It is not safe for use in the dishwasher. The lid gets very hot with time which makes it tricky to refill the kettle. 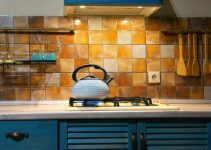 Why should you have a stainless steel whistling teapot in your kitchen? The Vanika teapot is truly something special with its range of features that not only ensure that you get value for your money when you purchase it but also the best stainless steel tea kettle in a very affordable price range. The stylish food grade steel used for construction is also lightweight and can complement any kitchen décor seamlessly. If you love luxurious kitchen items, then you cannot go wrong with this beautiful stainless steel kettle. This large stainless steel tea kettle boasts of a tough body that has a high resistance to dents, heat, scratches and any other external damage that may come with regular and consistent use. Although the stainless steel that is used in the construction process is sturdy, the Vanika stainless steel tea kettle is easy to use, carry and move around even when it is filled with water. This lightweight quality also ensures that the water boils quickly. The Vanika kettle also comes embedded with a variety of safety features specifically meant to protect you when using the kettle. Tea kettles are primarily for boiling water so they usually only require a quick rinse after they have been used. If a teapot is not rinsed or cleaned on a regular basis, the limescale could accumulate in time, which would ruin the interior appearance of the kettle. For more information, read my post on how to descale a kettle. If you want to add something to this review, leave a comment below.